Comcast is increasing internet speeds free of charge, but cord-cutters are being left in the dark. Customers in Houston, Oregon, and Southwest Washington currently paying for 60Mbps download speeds will be bumped up to 150Mbps; those already on a 150Mbps subscription will enjoy 250Mbps; and if they’re shelling out for the maximum 250Mbps amount, they’ll be raised to 400Mbps or 1Gbps depending on the plan. Sounds too good to be true, right? Sadly, it is. Included in the fine print is a condition stating the benefit is only for users who subscribe to an internet and TV bundle and have Comcast’s X1 hardware. If you’re only paying for internet—say, you cut the cord and don’t need cable anymore—your data speeds will remain the same. This incentivizes internet-only customers to add TV to their subscription plan or pay outright for the more expensive options. For Comcast, pushing customers into TV subscriptions acts as a stop-gap as people migrate to streaming services like YouTube TV, Sling, or even DirecTV Now. Sling added more than 700,000 customers last year for a total of 2.2 million, while DirecTV Now added another 888,000 to its total. YouTube TV has also fared well, gaining 300,000 customers less than a year after it went live. These Wi-Fi-dependant alternatives to cable TV aren’t the only reason people are cutting the cord. Streaming services like Netflix and Hulu provide a range of content, including TV shows, movies, and exclusive material. At the start of this year, Netflix has 118 million streaming subscribers. Comcast frequently upgrades speeds in certain markets without charging, but it hasn’t ever omitted customers who only subscribe to its internet plans. By leveraging its popular internet options, Comcast can give its declining TV plans a crutch to lean on. There is also fear the company might expand its 1TB internet data cap to achieve the same result. Customers may be forced to use traditional cable TV if streaming Netflix or Sling eats into a finite data allotment. Comcast isn’t the only one pressuring customers to sign up for cable. AT&T has its own user-hostile methods. The telecom giant gives unlimited data to customers who purchase both internet and TV services but charges overage fees to Internet-only customers once they reach their data cap. 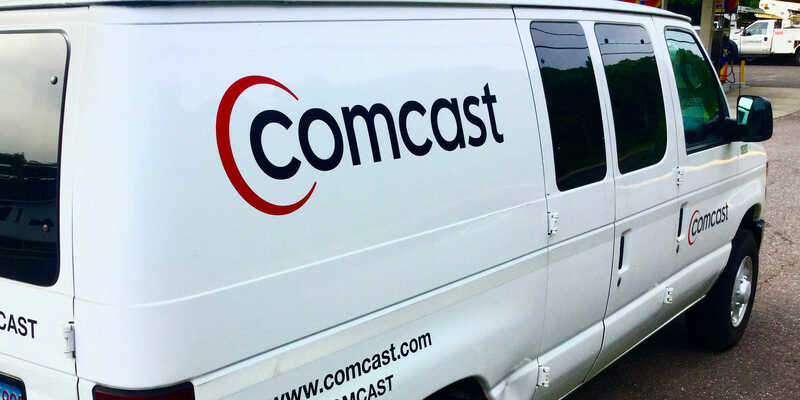 Update 3:25pm CT: Comcast touted its internet speeds but failed to address its new conditions in a statement to the Daily Dot.